Okay, so the countdown to Christmas is officially on! I’ve already eaten an entire tub of Quality Street (and successfully purchased another without being told off by the hubster! ), wrapped most of the presents and planned the last food shop before the big day. Alex at Lamb and Bear has tagged me in the Christmas tag, where I need to answer the following christmassy questions. Make sure you head over to her blog to read her answers. I think it still has to be Love Actually. I’ve lost count of how many times I’ve seen it now, but Colin still makes me laugh (‘Ja darling!’), Mark still makes me swoon (those eyes!) and I still sob along to Joni Mitchell with Karen (poor woman). The best part is the warm, fuzzy feeling that it leaves you with at the end. Ooh, I was discussing this with a friend last night! I think it’s a joint win between Dominick the Donkey and the entire Michael Bublé Christmas album (*Affiliate link)! No, although I have started a Christmas Eve box tradition for Little M, which contains some Christmas sleepwear, a book and this year a rubber Santa duck that hubby came home with from John Lewis! Err…Dasher, Dancer, Donner, Blitzen, Prancer, Vixen, Rudolph… how many are there?! I’m looking forward to making and cementing new Christmas traditions now that we’ve got Little M in our lives, but mostly spending time with family and enjoying some lovely food. Fake. I long for a real tree. A couple of years ago the school that I worked at was going to throw out their real, 8ft Christmas tree on the last day of term, so I shoved it across the back seat of my car (with the top sticking out of the back window!) and brought it home with me. I loved having a real Christmas tree in the house and have vowed that one day we’ll feel frivolous enough to buy a real one every year. For now, our fake one is only a few years old and in good condition, so it will do! Definitely stuffing and cranberry sauce. I was so excited when I found proper, fresh, gluten free stuffing meat in Sainsbury’s a couple of years ago! I’m also rather enjoying the Quality Street this year which I have resurrected as a family tradition! We always used to have a tin open in the house around the Christmas period when I was a child. Giving. I’m always more excited about seeing hubby’s face when he’s opening whatever it is that I’ve bought for him, than I am to open whatever it is I’ve been gifted. I still like receiving gifts, though! I seem to get less now M is around as my friends buy for her and not me! Oh gosh, I can’t even think of anything! My favourite gifts that I’ve received haven’t been at Christmas – like having Little M or getting engaged to hubby. I would love to spend the run up to Christmas in New York one year. I’ve been to New York four times, but only at Easter or in the summer, and I think it would be a magical place to be at Christmas time. I don’t want to toot my own trumpet, but I’m a pro. My perfectionist side definitely comes out when I wrap Christmas presents and I love bows, ribbon and pretty labels! Definitely a Christmas present I received from an aunt around ten years ago. I was living with my parents and my older brother had come to spend Christmas with us. When my aunt handed me the present, she had told me that it was to go on my bed, and that she liked it so much, she’d bought herself one. Sounds ominous, doesn’t it? Anyway, Christmas morning came along and I opened up… a plastic doll, with a large blanket for a skirt! My brother helpfully told me I’d never get laid again if I put it on my bed…! Probably not the most sentimental memory, but it definitely is the most memorable! I can’t remember when I realised the truth, but I do remember my mother having a conversation with me when my dad dressed up as Father Christmas for a work’s Christmas party. I remember feeling the weight of responsibility not to spill the beans and reveal the identity of the man beneath the beard! Spending time with family and just chilling out and having a relaxing day, with lovely food. 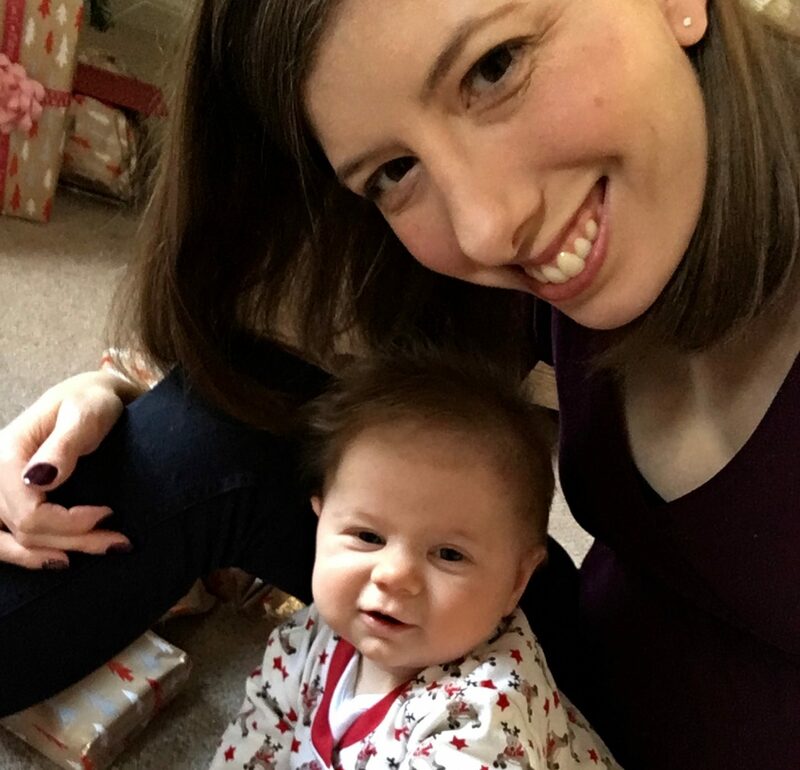 I’m tagging Sabrina at The Mummy Stylist to take part in the Christmas tag next! "The Frugal Mum’s Guide to Throwing a Toddler Birthday Party"